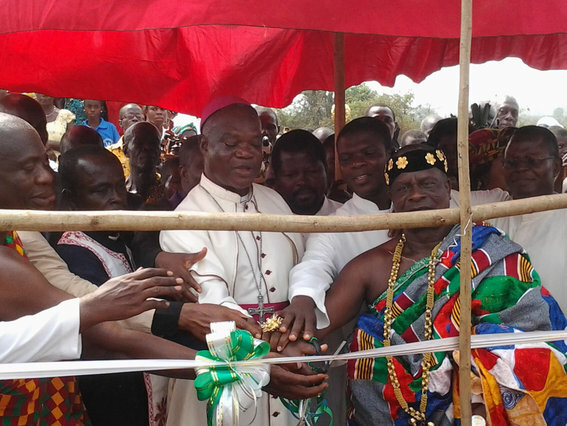 A sod-cutting ceremony h as been organised at Gomoa Oguaa in the Gomoa Akyenpim Tradtional area to inaugurate the establishment of a pure Technical Institute to equip the teeming youth of Gomoa with technical skills. The ceremony which took a form of a mini durbar brought together the Paramount Chief of the Traditional area and many illustrious sons and daughters of the Gomoaland. Giving the background to the project, Most Rev. 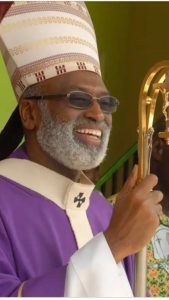 Matthias K. Nketsiah said that the request for an institution was made by the Paramount Chief with his Council to Cardinal Peter Kojo Appiah Turkson and he had taken it up to make the Catholic Church go into partnership with the Traditional Council. He said the Archdiocese would support them with technical assistance and ensure that the project saw the light of day.